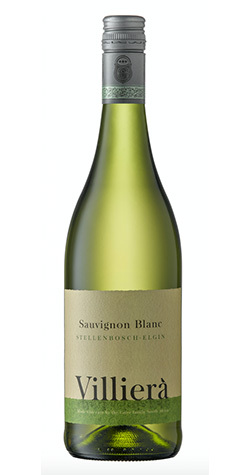 In keeping with the trend towards fruit driven wines this Sauvignon Blanc displays intense varietal character including gooseberry and fig flavours. In keeping with the trend towards fruit driven wines this Sauvignon Blanc displays intense varietal character including gooseberry and fig flavours. The introduction of wine from the cooler Elgin area has ensured greater freshness and vibrancy. After crushing and destalking we allow 6 hours skin contact to maximise varietal character. This is followed by gentle pressing and fraction separation. Only the free run and first pressing is used for Sauvignon Blanc. After settling the cellar juice is cold fermented with neutral yeast to avoid masking the varietal character. Then it is blended, stabilized and bottled. Cousins Jeff and Simon Grier started the family owned Villiera Wines outside of Stellenbosch in 1983. This particular grape-growing region has a prevailing Mediterranean climate which is favored for the growing of vines. All the fruit is grown on Villiera making the wines distinctive and unique. The winery maintains an environmentally friendly vineyard with 200 ha designated to grapes and the other 200 ha made up of buildings, fallow land, gardens and dams. The Wild life in the sanctuary is abundant and Villiera Winery has been accredited as a BWI member. In 2006 Villiera bacame apart of the WIETA (Biodiversity Wine Initiative). Their mission is to improve working conditions within the Agricultural Industry by adhering to ethical employment practices. The WIETA code of conduct prohibits the use of child labor, excessive working hours and unfair discrimination, while ensuring a healthy and safe working environment and the right to a living wage.